HomePath® is proud to launch our HomePath Ready Buyer program, a comprehensive online homebuyer education course. First Time Homebuyers who complete this education course by their initial offer may request up to 3% closing cost assistance toward the purchase of a HomePath property and reimbursement of the HomePath Ready Buyer training cost. Buyers must complete the full online HomePath Ready Buyer training course on www.homepath.com and receive the Certificate of Completion. The request for closing cost assistance must be made at initial offer in the HomePath Online Offers system on or after April 14, 2015. 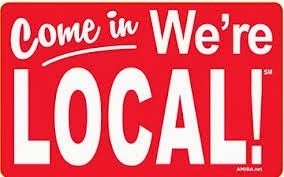 Must be First Time Homebuyer (did not own a property in the past three years) and plans to reside in the property as their primary residence. Auction, pool and investor sales are not eligible. Buying a home can be a daunting process, especially for First Time Buyers. That's why HomePath is proud to bring you this homebuyer education course. If you're a First Time Homebuyer, we encourage you to take this education course to prepare you for the responsibilities of homeownership. After completing the course, if you attach the course completion certificate to an initial offer and successfully negotiate a purchase of a HomePath property, you can request up to 3% closing cost assistance toward your purchase. Restrictions apply. See full terms & conditions. Tell me more about the training. This course is intuitive, self-directed and interactive. The course is being used by other non-profits and lenders and exceeds both HUD standards and National Industry Standards for Homeownership Education and Counseling. The course has 9 modules with a quiz at the end and takes about 4 hours to complete. The course costs $75. After completing the course, download and save your Certificate of Completion. If you decide to purchase a HomePath property after course completion and you successfully close on a contract, the cost of the course ($75) will be reimbursed. 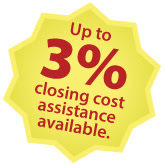 How do I ask for the 3% closing cost assistance? After completing the course, you must attach the HomePath Ready Buyer course completion certificate to the initial offer submission on a HomePath property. Your Real Estate Agent must submit this at initial offer on the HomePath Online Offers system. First-Time Homebuyers who complete this education course by their initial offer may request up to 3%* closing cost assistance toward the purchase of a HomePath property and reimbursement of the HomePath Ready Buyer training cost. To be eligible for this offer: • Buyers must complete the full online HomePath Ready Buyer training course on www.homepath.com and receive the Certificate of Completion. • The request for closing cost assistance must be made at initial offer in the HomePath Online Offers system on or after April 14, 2015. • Must be a First-Time Homebuyer (did not own a property in the past three years) and plan to reside in the property as their primary residence. • Auction, pool, and investor sales are not eligible. Labels: classes, Fannie Mae HomePath, Fannie Mae HomePath® Kentucky, First Time Buyer, homepath ready buyer 2015, Kentucky First Time Home Buyer Programs (KY), Kentucky HomePath® Mortgage financing.